This dialogue achieved positive results in four main aspects — creating a positive atmosphere, controlling the crisis, confirming the intentions of each side and expanding cooperation. The second round of the China-US Diplomatic and Security Dialogue was held in Washington on November 9. 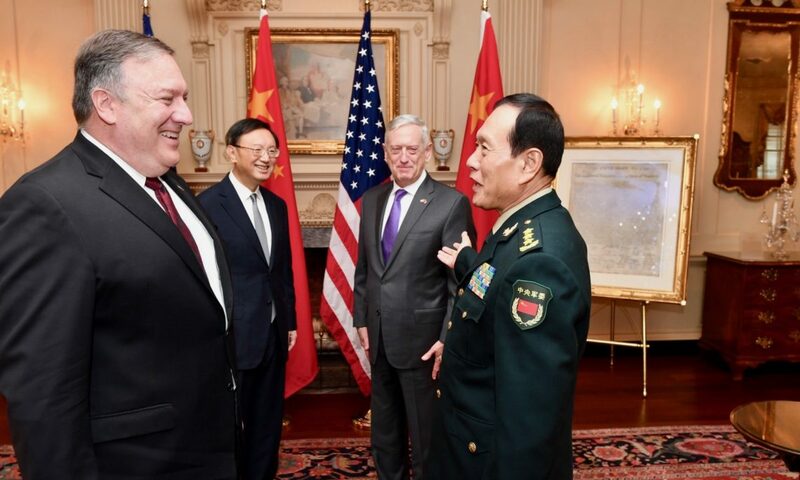 Yang Jiechi, member of the CPC Politburo and director of the Central Committee on Foreign Affairs, US Secretary of State Mike Pompeo and US Defense Secretary James Mattis hosted the dialogue together. Chinese Defense Minister and State Councilor Wei Fenghe also attended the dialogue. The holding of the Diplomatic and Security Dialogue shows a positive and soft signal during this moment when China-US relations are in a period of downturn, highlighted by the trade friction. In April last year, during the Mar-a-Lago Summit Meeting, Chinese president Xi Jinping and the US President Donald Trump decided to establish four high-level dialogues — a diplomatic and security dialogue, a comprehensive economic dialogue, a law enforcement and cybersecurity dialogue and a social and human dialogue. The first round of the China-US Diplomatic and Security Dialogue took place in June 2017. Guided by the consensus reached after the Mar-a-Lago Summit Meeting, the dialogue in 2017 made remarkable achievements, which has proven constructive and important in terms of efforts to resolve mutual suspicion and strengthen mutual trust. However, China-US relations took a major turn for the worse since the US imposed trade pressure on China according to the alleged 301 survey results earlier this year. The two countries continue competing not only in trade, investment and technology, but also on security issues. 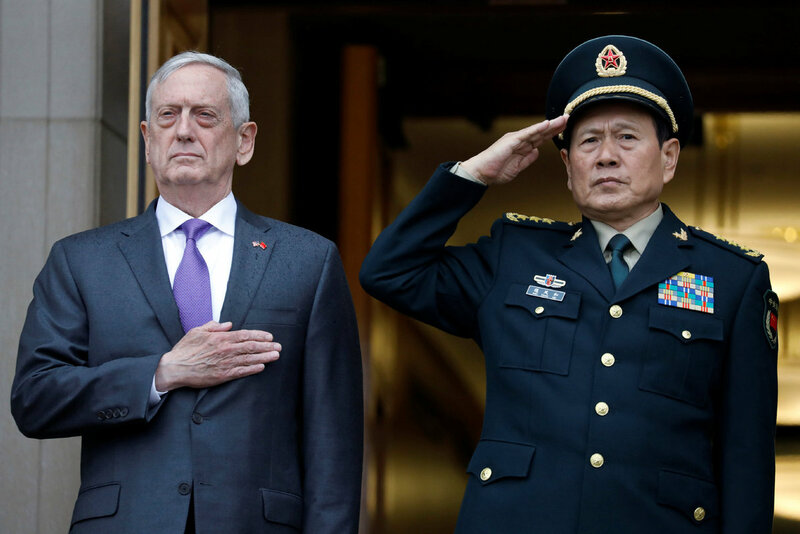 In Taiwan issue, the US has taken frequent actions this year, including passing the Taiwan Travel Act and announcing a new round of arms sales to Taiwan, sending misleading signals to the independence forces in Taiwan. In terms of the South China Sea issue, the US frequently sends its ships to pass through the South China Sea in the name of “freedom of navigation”, challenging China’s sovereignty over the Nansha Islands and adjacent waters. In addition, the US State Department has sanctioned the Equipment Development Department of the People’s Republic of China’s Central Military Commission and its leader due to China’s purchases of Russian weapons. As a result, the originally scheduled dialogue for the defense ministers of the two countries in October was cancelled. The strategic confrontation between China and the US is certain to spread to all facets if the conflict is allowed to expand. Under these circumstances, the second round of the China-US Diplomatic and Security Dialogue was held. High-level diplomacy and defense officials of the two countries held in-depth discussions on China-US relations and other major international and regional issues of common interest. Specifically, this dialogue achieved positive results in four main aspects — creating a positive atmosphere, controlling the crisis, confirming the intentions of each side and expanding cooperation. The dialogue creates a suitable atmosphere for the leaders of China and the US to meet one another. Chinese President Xi Jinping was invited to speak with US president Donald Trump via telephone on November 1. During the phone conversation, the two leaders agreed to promote bilateral relations to achieve new progress based on healthy and stable ground, and confirmed that they will meet during the G20 Summit in Argentina. The relationship of the two leaders plays a strategic and guiding role in China-US relations. Particularly at times when bilateral relations come to a deadlock, direct communication between the two leaders can save the situation in most cases. After several rounds of trade negotiations and strategic undertakings, Xi and Trump have realized the importance of solving disputes through dialogue. They are committed to reaching a plan acceptable for both countries, which undoubtedly provides direction for the China-US Diplomatic and Security Dialogue. This dialogue is intended to show the rest of the world that both China and the US are willing to settle disputes through dialogue, while also providing a warm-up for the upcoming China-US summit meeting. The dialogue strengthens crisis control between China and the US. 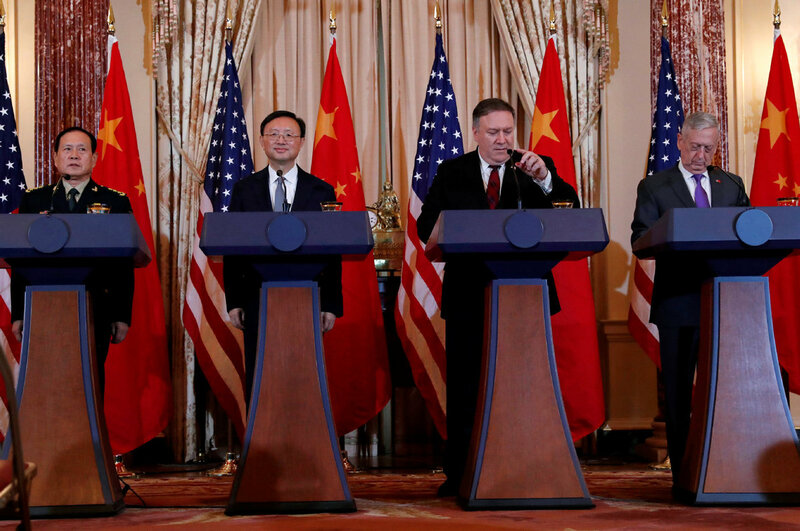 China-US economic and trade relations have long served as the ballast of China-US relations, while military and security cooperation remain a weak part of bilateral relations. With the advancement of industries and technologies in China, economic and trade issues have gradually become the center of bilateral competition. When economic and trade relations support for bilateral cooperation weakens, it is very possible that China-US military competition could spin out of control. To prevent this worst scenario, it’s essential for the two countries to begin dialogue on diplomacy and security. 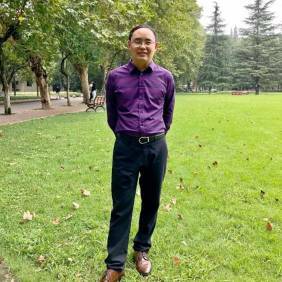 Therefore, Wei Fenghe has explained that it is essential to make military relations become the stabilizing factor of bilateral relations. During the dialogue, China and the US empathized with each other and said they would maintain close contact in building the Communication Framework on Crisis Prevention, and the two countries are committed to carrying out the two mutual trust mechanisms, namely the mutual notification mechanism for major military operations and the code of conduct for safe air and sea encounters. These are indicative of the crisis management and control functions of the China-US Diplomatic and Security Dialogue. The dialogue reconfirms the strategies of the two countries. As the gap between the strength of China and the US narrows, the two countries view each other differently. Since the end of last year, the Trump administration has issued important papers such as the National Security Strategy Report, in which the US defines China as a strategic rival and claims that China intends to change the international order led by the US. Likewise, China thinks the US has shifted its strategy toward China from competing and cooperating to containing and confining, to check China’s rejuvenation process in all respects. During this dialogue, the Chinese side said that China has no intention to challenge or replace any other countries, and China remains committed to building a new model of major-country relations with the US featuring no conflict, no confrontation, mutual respect and win-win cooperation. 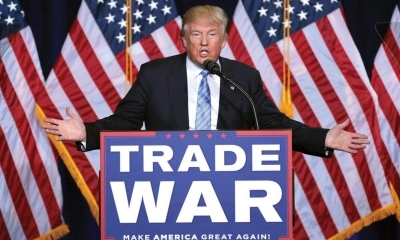 The US side said that it welcomes the development of China’s economy, adding that it “has no intention to initiate a cold war with China or to contain China”. China and the US stating their respective political standings can help the two countries reconfirm the other’s development intentions and thus prevent the two governments from making further erroneous judgements. The dialogue can expand the substantial cooperation that exists between China and the US in the diplomatic and security fields. China and the US are the top two economies in the world, thus their relations are closely related not only to their national development, but also to global stability. Currently, a large number of global, regional and bilateral issues require China and the US to work together. During this dialogue, the two countries resolved to continue cooperation in economics and trade, the military, law enforcement, anti-terrorism operations, anti-drug operations and personnel exchanges, consolidating the social foundation of China-US relations. Meanwhile, the two countries exchanged views in terms of the North Korean nuclear issue and the situation in Afghanistan and the Middle East, and agreed to exert a positive influence on proper solution to related problems. China-US relations can move steadily forward on the right track if the two countries are able to further expand their cooperation scale and control the friction that exists between them. Overall, the China-US Diplomatic and Security Dialogue released signals that the two countries can resolve their disputes through dialogue and talks, which can not only avoid the dangerous situation that competition between the two countries could be upgraded to conflict, but also sets the tone for the future development of bilateral relations. Certainly, a dialogue alone is far from enough to solve the problems between China and the US. However, we can ensure that China-US relationship can remain under control and on track if the two countries conduct honest communication in time. Mnuchin Proposing New Trade Negotiations: A Turnaround or a Tactic?